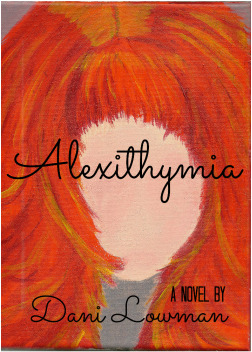 "Alexithymia" is now available in paperback and Kindle editions -- get your copy today! while Nathan is an ambitious intern who longs to see the inside of an operating room without the shadow cast by his brilliant, doctor-filled family. from the eStore and Amazon! Dani Lowman is a successful second-time NaNoWriMo novelist, devout lover of the English language, and a hopeless Anglophile. When she isn't helping to mold the next generation of rambunctious visionaries as a preschool teacher, she plays around with paint on canvas, drinks copious amounts of black tea, and watches way too much Doctor Who. 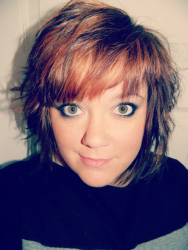 Currently, she lives with her family and three dogs in the gorgeous southern outskirts of Hanover, Pennsylvania. Check out her author bio!